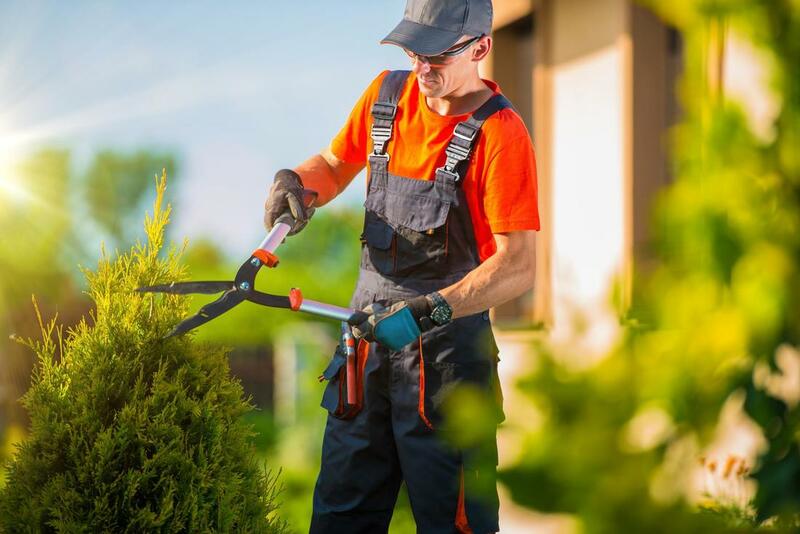 Hedge cutting services are designed to target your landscaping shrubs and hedges and keep them looking in tip top shape. Regular maintenance is often required for shrubs and hedges as they tend to grow quickly and out of shape if not trimmed frequently. If your shrubs and hedges are trimmed and groomed regularly, they can continue to look stunning and shape your yard the way you want them to. Hedges are described as the bordering plants that draw landscaping “borders” in between areas of your lawn. In modern landscaping techniques, they’re even used to convey the appearance of a fence without an actual one, but still provide the same line of demarcation between areas and yards. Hedges are typically comprised of delicate plants that have a tendency to grow upward, making them ideal for vertical hedges or shapes. In order to keep them green and holding their shape. Shrubs, on the other hand, are not as nicely designed as hedges, but are able to provide your lawn with added textures and colors. Shrubs are used in landscaping to fill holes in the yard or flower beds and to provide the garden with diversity in plants. They tend to grow outward and can be both large and draping, but this adds to their overall aesthetic appeal. Like hedges, however, they should be coppiced occasionally so that they do not overgrow into the yard or become messy. If you don’t have any existing hedges or shrubs but would like assistance in planting some, we can readily aid in doing so. We have a supply of quality hedges and shrubs that are sure to be to your liking. If not, we’re able to find a suitable solution and get you the greenery you desire. In planting the hedges and shrubs, it’s important to not only take into account the ground space we have to work with, but also the height at which is available. Since hedges can often grow upward, we want to make sure hedges aren’t planted in areas that could cover windows or damage infrastructure in any way. As for shrubs, they’re generally easier to find in smaller sizes and can come in different plant colors to match the look of your garden. Although hedges and shrubs don’t require too much maintenance, they should be cared after like the rest of your garden. Regular trimmings are needed to help them keep their shape and stop them from overgrowing into other parts of your yard or even into your neighbors’ yards. Not only that, but your hedges and shrubs should also receive a healthy amount of sunlight intake and water. Hedges and shrubs that are guarded by the shade consistently or are in drier climates can dry out just as easily as other plants, so it’s important that they receive proper nutrition.